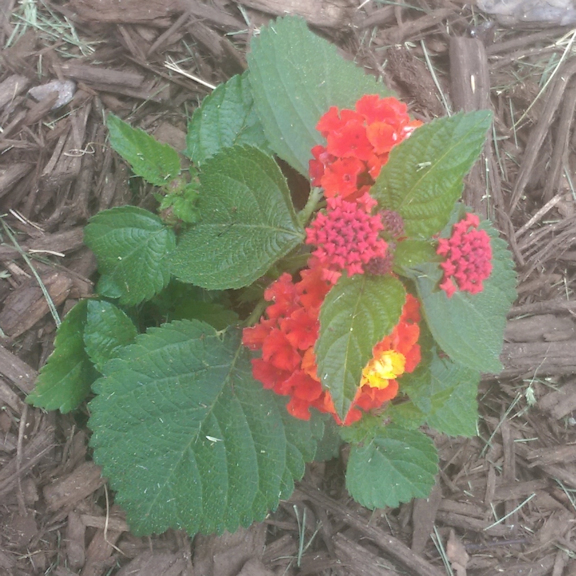 Last spring I wanted to plant lantana next to my mailbox. I’ve always liked the flame-colored ones, in particular. But when I looked at garden stores, I didn’t see any lantana and ended up planting mandevilla instead, as shown in this post. The mandevilla was pretty, and it reminded me to keep an open mind to finding beautiful things everywhere. This year I walked into the garden store just thinking I’d browse for a little while and find something I liked, rather than having a particular kind of flower in mind for the mailbox area. And, you guessed it, they had plenty of lantana on display, in my favorite colors too. Sometimes, what we’re looking for is more likely to show up when we’re not looking for it! Love that quote about how things show up when we are not looking for them. It is true 🙂 Just like the saying, “a watched pot never boils” 🙂 Pretty flowers! It is so true that things show up at their own time when we just go with the flow. I am happy you found these beautiful flowers! Yes, just going with the flow makes everything a lot easier!